Paragon is designed from its core to conserve energy and save on operating costs. Paragon’s rare earth magnet inverter scroll compressor eliminates excessive cycling, premature unit aging, inefficient hard starts, and unnecessary energy consumption.  Paragon’s modulating technologies allow it to deliver the highest efficiencies at part-load conditions. Paragon contains fully modulating refrigeration and optional hot gas reheat components that deliver the exact amount of air requested at the desired temperature and humidity. 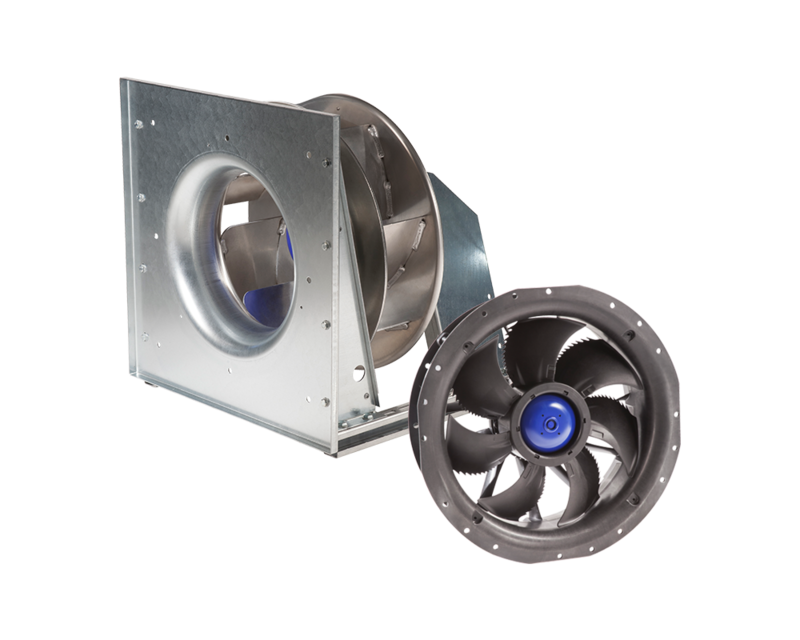 Variable speed components allow Paragon to adjust its heating and cooling capacity to match the required load. 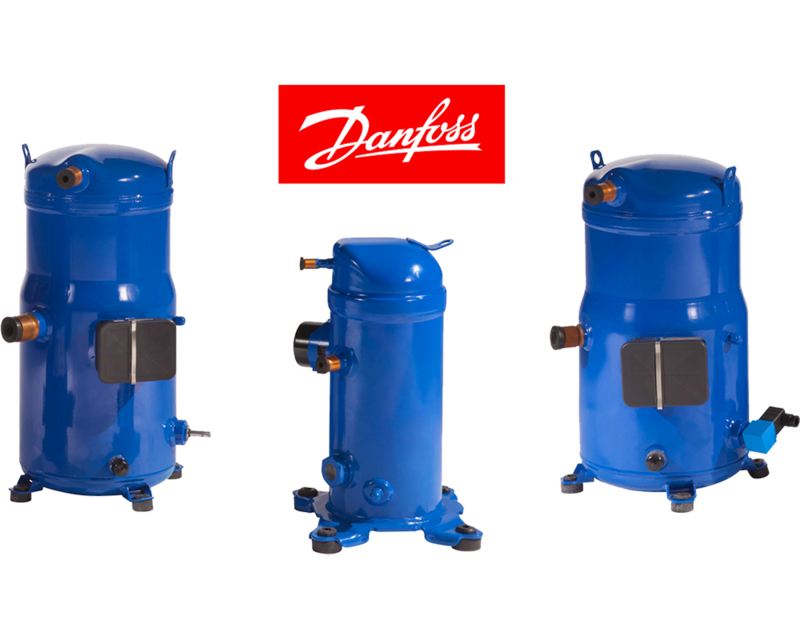 This provides a consistent temperature throughout the space and avoids large temperature swings often associated with single stage equipment.  Paragon achieves an impressive 20.2 IEER rating (Integrated Energy Efficiency Ratio) which is over 1.5x the ASHRAE 90.1-2016 IEER standard. Designed with the future in mind, Paragon is poised to exceed rising IEER standards for years to come. Paragon comes standard with a 5 year parts warranty. An extended 10 year full unit warranty is included at no extra charge when units are maintained with a CASService Preventative Maintenance subscription (terms and conditions apply). Paragon is designed with sustainability in mind and is built to last up to 25 years. CaptiveAire offers unmatched factory service and technical support through its rapidly expanding nationwide CASService team. Each local service technician undergoes extensive in-house training to ensure your needs are quickly met and problems are thoroughly addressed. Since Paragon is a fully standardized equipment line, CASService techs are able to stock most replacement parts on their trucks, eliminating long lead times often associated with service visits. Additionally, Paragon is designed with service in mind, incorporating several convenience features to make support visits as smooth and efficient as possible. 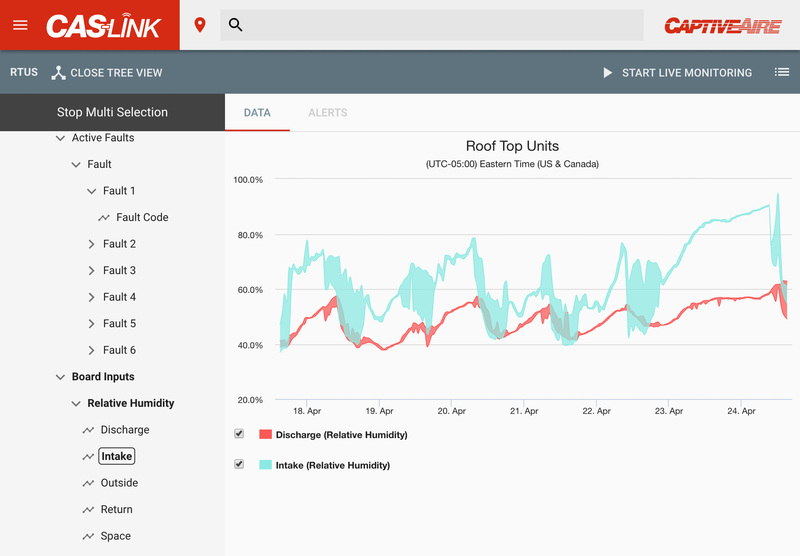 CASLink, CaptiveAire’s proprietary cloud-based building management system, collects real-time performance data in order to verify proper equipment operation, recognize potential problems, diagnose minor issues, and analyze system efficiency. 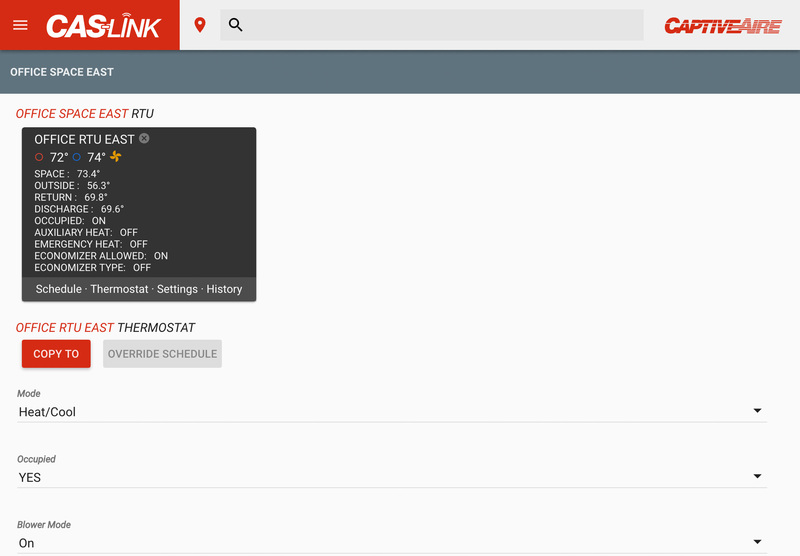 CASLink allows for remote unit adjustments, often eliminating the need for an onsite service tech visit. 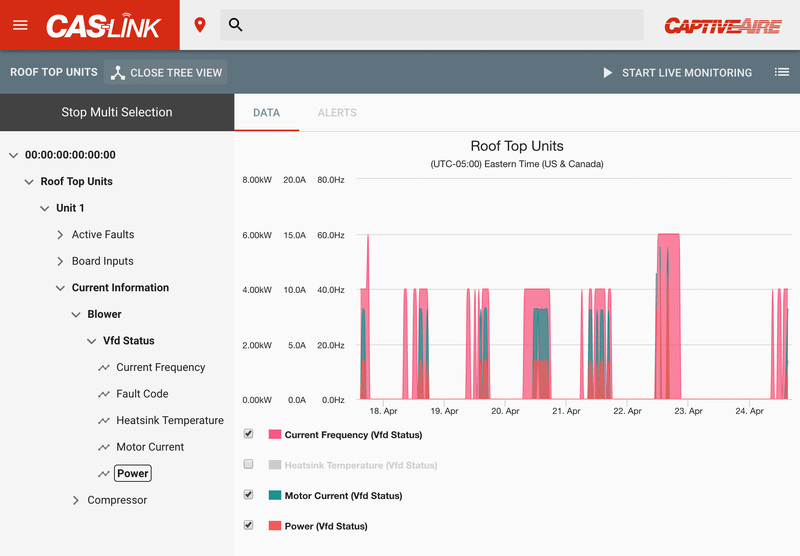 Every Paragon unit includes a CASLink system at no additional charge. 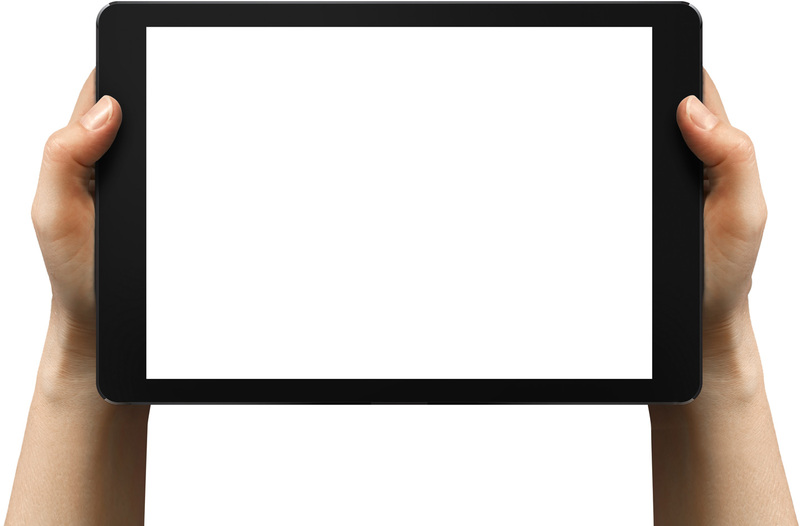 Curb Size (L x W) 75" x 49.5" 91" x 59.5" 91" x 59.5" 111" x 80"
Unit Dimensions (L x W x H) 81.75" x 80.75" x 60.75" 99" x 89.75" x 69" 99" x 89.75" x 69" 158" x 89.75" x 94"
A CaptiveAire Paragon unit was commissioned this past February for a commercial laboratory in Maryland. The existing space conditions prior to the installation were poor, with overpowering Formaldehyde smell. The Paragon unit quickly and significantly improved the indoor air quality by bringing in 100% fresh outside air with precise conditioning. The unit’s operation has spanned February through early May. Traditional On/Off units have difficulty meeting the lower demands of this transition season due to excessive cycling. The Paragon’s modulating heating and cooling capabilities turn down to meet this “shoulder season” demand. CaptiveAire’s Paragon unit met the laboratory’s tight space conditioning demands while also delivering fresh outside air. The employees commented on the drastic difference in indoor air quality and the manager was very happy with the improvement. CaptiveAire serves and monitors a restaurant chain with two franchisee locations in Kansas City. 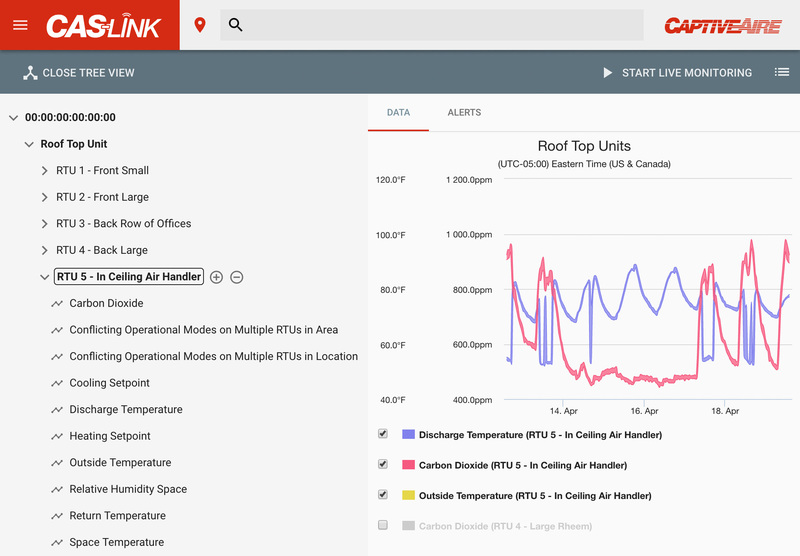 One of the locations, Site A, utilizes CaptiveAire Paragon units (DOAS) to handle the HVAC demands and the other location, Site B, utilizes traditional On/Off rooftop units (RTUs). The restaurants have nearly identical building design parameters and operation patterns. CaptiveAire analyzed the space condition and equipment usage data at each site to compare the off-peak performance during the transition (“shoulder”) season. 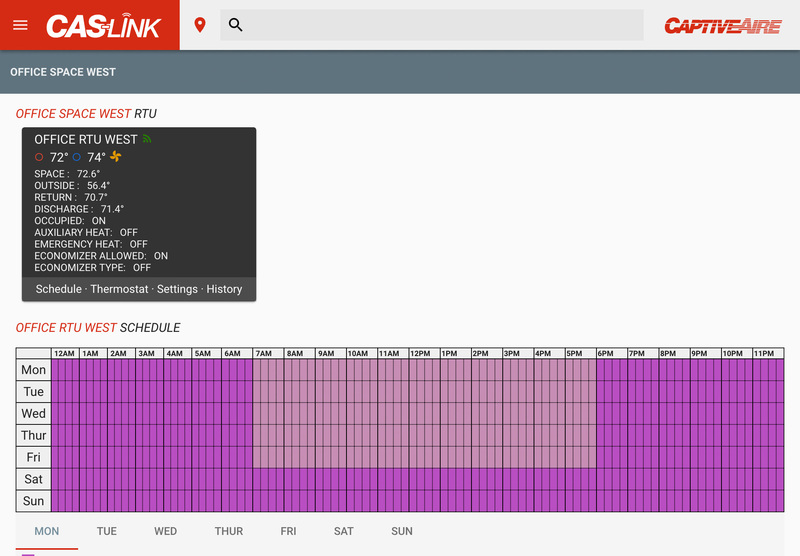 As demonstrated by the data gathered, traditional RTUs can experience difficulties handling off-peak times of the year. This may result in excessive unit cycling, reduced equipment lifetime, and uncomfortable variations in space conditions. Given that most locations spend the majority of the time in these offpeak weather conditions, the modulating capabilities of the Paragon unit offer a vastly superior solution.